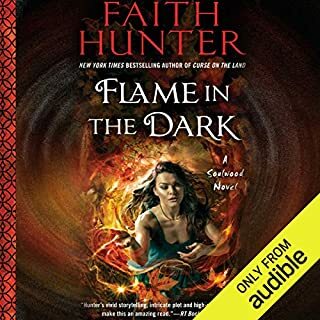 Faith Hunter's books are so well written the emotions, the setting and descriptions, the progression of the story are all wonderful. Add Khristine Hvam's narration and this becomes an immersive world that I want to stay with. I think Nell is such an interesting character her relationship with Mud, Occam, Rick, Tandy and now Jane Yellowrock's brother are so real. I think I may even like the Soulwood series better than the Jane series. This story includes some interesting development in the relationship of Nell and the Vampire Tree. I also like the romantic progression between Nell and Occam. The Church backstory is simmering and seems like trouble is on the horizon there. Rick may find love which I am glad about. Though I did not like him much in the Jane Yellowrock series, we learn so much about him and why he did some of the things that he did. I am so looking forward to the next book! Clever way to wrap up the Father problem and the story. 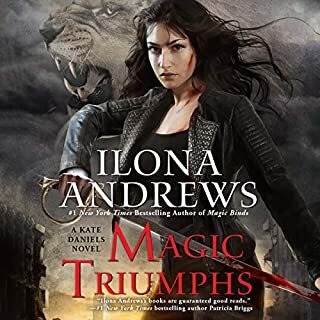 I will miss these characters a lot I hope the Ilona Andrews team sets up a future story with some of the children int this series. Just Listen to these books. They are wonderful! 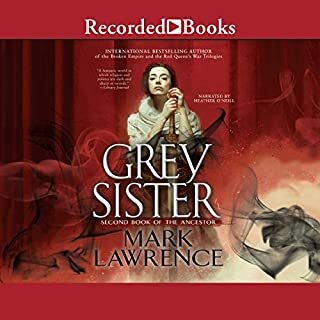 Grey Sister by Mark Lawrence shows the continued growth of Nona and her friends and sisters of the cloth in a cruel, dying world. Nona and the other powerful sisters of the Convent on the Rock are constantly challenged with betrayal both inside and outside the convent. Danger, and action course through the story. This book shows complexities of human emotion in such a skilled way. while propelling the ending to a satisfying halt if not a final resolution. 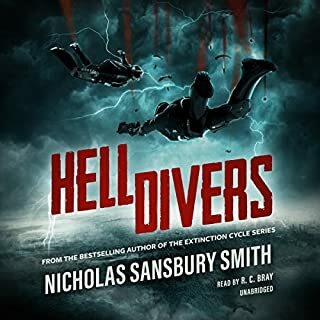 Heather O'Neill's excellent narration carries emotion, excitement and the ability to move from character to character very clearly. 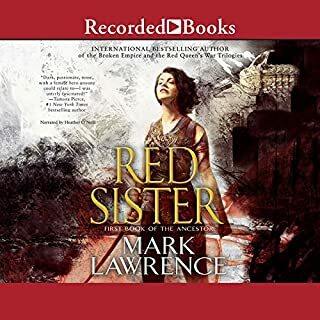 I believe these stories, Red Sister and Grey Sister, to be well worth the time to listen to or to read. If you enjoy good writing and clever narration get this book! Jane Yellowrock and Beast are some of my favorite literary characters. I was concerned that at the end of this book we would be saying goodbye to her but this book opens the door to further books. What's good about this book? A lot of the story line for years comes to a fairly suspenseful ending leaving the opening for further books. Jane meets a man who is supposed to be her brother. Her relationship with Bruiser continues. There are possibilities opened for Jane to find some of her family still alive. She had some interesting flashbacks to her childhood. There is opening for the Jane series to continue in a different several different directions. What's not so good? The fight scenes were somewhat anticlimactic and perhaps abbreviated between the two main fighters. It was like Jane spent too much time figuring out her possible long lost brother thing with others preparing the fight and doing the fighting. She isolates after the fight and runs away which in my opinion is very unlike Jane even if she has to face serious problems. She spends a great deal of the book looking at close relationships and calling her partners brothers and then just drops them and runs. It doesn't seem to fit. I am not the writer and I did not have to do the hard work of writing the Jane Yellowrock series. If it did not go like I thought it would, oh well...and I plan to listen to the next book. Kristine Hvam did her usual great job. It would not be the same if she did not do the characters. 19 hours of Wonderful Fantasy!! This is my first Mark Lawrence work and I loved it. The story is built upon the shoulders of a little runt of a girl who has hidden depths that will make her a force to be reckoned with. The convent where she finds herself is the place where she learns about herself and the nature of friendship and betrayal. The story building takes its time and grows into a world you want to stay in. Some listeners said it dragged some in the middle but it seems to me that watching Nona grow and discover herself is part of the allure of the book. 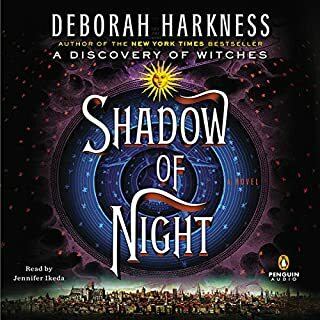 Heather O'Neill did a superb narration she is one of the best I have ever heard. Many characters and distinction between them all. Can't wait for the next book in the series. This story is interesting but...depressing. Orphan X is thawing his icy heart a little. He learns about his trainer and father of the heart, Jack, by being placed in a situation that makes him change and grow as a person. He meets and defeats his arch nemesis and finds out that the road does not end there. The story can take several directions and the books just keep getting better! Scott Brick does a great job of narration. He manages the tightly controlled emotion of Evan just as well as the tears of a teenage girl! I got very invested in this story and the characters. The story is unique and I loved the historical characters mixed in. Jennifer Ikea did a great job narrating. Continuation of a great love story and exciting paranormal drama! 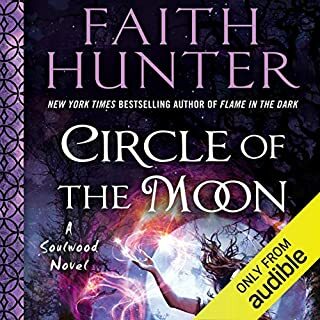 In fact I liked the books so much I read them twice and then got the audible edition. Am looking forward to the next one. I admire an author or an artist who tries to create something new or different. 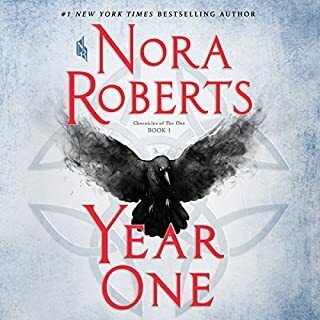 Nora Roberts has jumped into a world that is in upheaval and follows a few characters through struggles and fears, violence and death. She did a pretty good job and I am hoping everything gets more develped in the second book. I have listened to Julia Whelan in some other books but I am not quite sure her reading of these characters was quite right. Her tone is a little business like or brusk for the story. She is a good narrator but in my opinion the fit to the characters is not quite there. To make alternate world books work the world building needs to be consistent and not glossed over unless the writer is going for YA fiction. Good first work in this genre for Ms Roberts. Enjoyed my listen. And I did have a hard time turning it off when I had to go to bed! This book is wonderful. Nell’s character keeps on growing and changing. 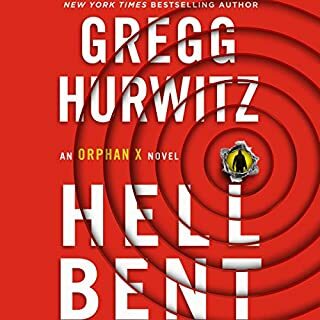 This was the best book of the series so far. I only wish another book was already done so I could continue on with the story. 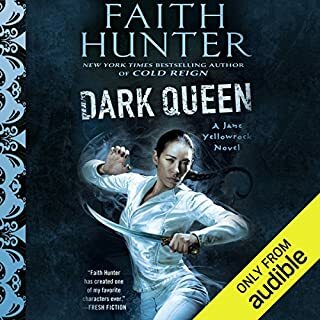 Faith Hunter has a real gift of making the reader feel what her characters do. The narrator does a great job also.